Where are the pin collectors? Spider fans will enjoy this Mondo Spider-Verse pin set by Tom Whalen. 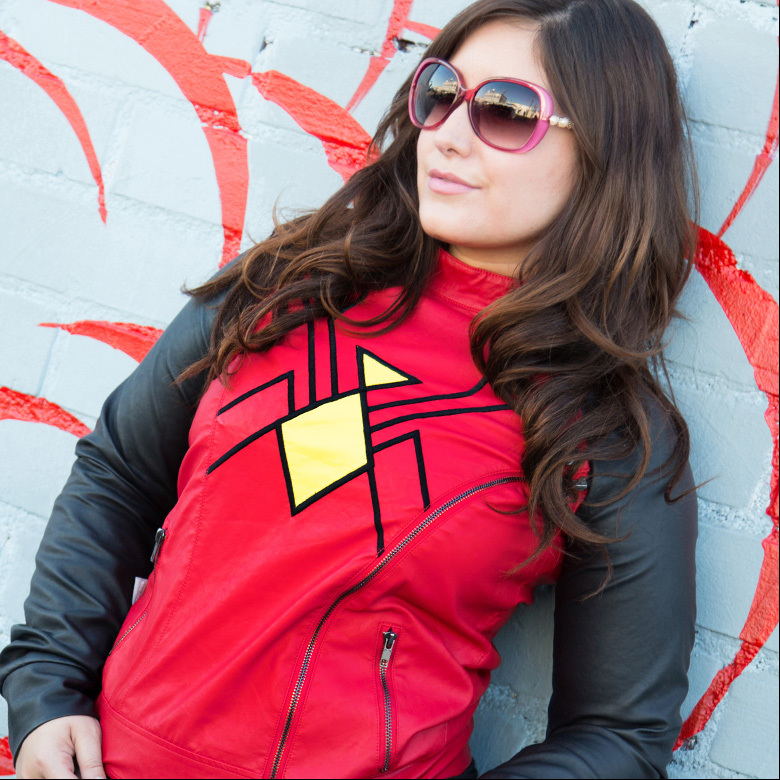 The set includes: Spider-Man (1960s), Ultimate Spider-Man (Miles Morales), Spider-Gwen and Spidey Sense. Just dropping into retail in Asia is Takara/Tomy have added more figures to their Metalkore Marvel line-up. Captain America, Spider-Man, Thor and the Hulk join in on the action. The figures have very limited articulation, just the arms move, but if you like a mix of plastic, diecast and for display, these figures are a nice pick-up. 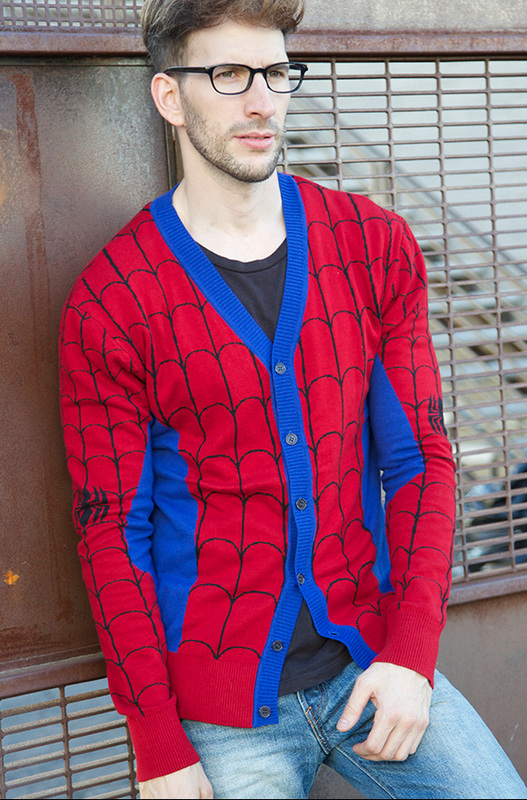 What if Spider-Man’s webbing can be a reality? When a spider creates a spider silk webbing it has many properties, like it can be used for food, protect it’s babies, be an alarm system and trap prey. Scientist are intrigued by the spider silk and especially how it never tangles up and stretches so perfectly. Now scientist on “paper” theory have created “liquid wire” replicating the spider silk web. This guy recreated Marvel’s Captain America: Civil War Trailer #2 with Fallout 4. It’s not bad and pretty funny. One of my fave shows on satellite radio, is Shade 45, Sway in the Morning and recently Marvel Editor in Chief Axel Alonso drops by the show to talk about the Marvel Comics and the “Hip Hop Variant” covers. Since Marvel is launching 60+ titles in a new direction starting this month, Marvel will put 60-plus “Hip Hop Variants” covers, where Marvel heroes are put in iconic hip hop album covers. This past Saturday was Free Comic Book Day and we went to one of the best comic book shops in SF – Isotope, The Comic Book Lounge. And it was 10 year-old Ethan Castillo first comic book shop signing event. This talented artist has a knack for drawing Marvel’s web crawler Spider-Man. If you’re tired of the usual boring wall light and need something to spruce up your Man-Cave or bathroom, then take a look these Marvel wall lights by 3D Light FX. Superheroes are usually pictured in heroic or action poses, well this series is comic book heroes meets National Geographic. Photographer Benoit Lapray continues his work of “The Quest for the Absolute” which showcases comic heroes in picturesque landscapes. Do you need a cool looking poster for your boring cubicle or ugly dorm room wall? Check out this cool Spider-Man poster by artist Salvador Anguiano. This poster showcases the various Spider-Man masks throughout his Marvel timeline. The first time we spotted this amazing kid artist Ethan Castillo was at last year’s Big Wow! ComicFest, now he’s back for the second year in a row. Our Ramen host Eddie Ballar picks up the interview and learns what’s Ethan been up to this past year. Long John Silver’s in Singapore kicks-off their Spider-Man movie tie-in with these “marvelicious” dishes. There is the Honey BBQ Chicken-Slinger with Webby Fries or Lime Mayo Seafood Web-Shooter with Webby Fries. If you are looking for cool posters to put around your house, check out Calvin Lin’s Superhero Minimalist Collection. Calvin has created 17 pieces of various superheroes from the Marvel and DC Comics universe. Some of heroes include the likes of Captain America, Black Widow, Hawkeye, Wonder Woman, Batman and Superman. 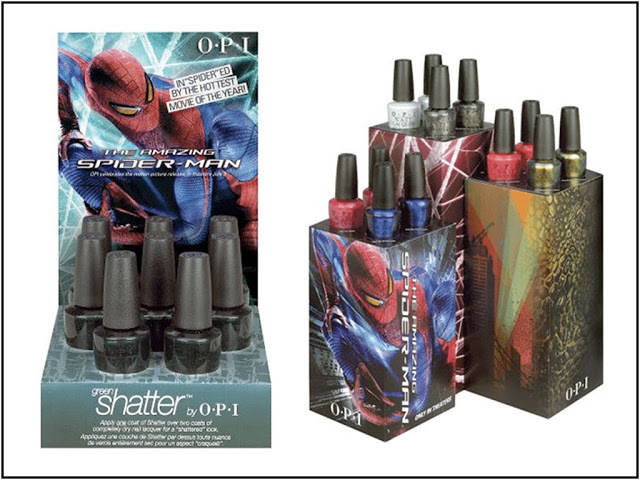 So this May, OPI will be launching their “The Amazing Spider-Man Collection.” I’m still digesting this because on the inside I’m honestly still a bit confused about this collaboration. I can just imagine some Hollywood executive waking up one morning and asked himself what would be a probable movie tie-in that would help make it rain. Spider-Man toys in a fast food chain’s kid’s meal I get, but NAIL POLISH?